Go to “Products” or Amazon to pick one up today! 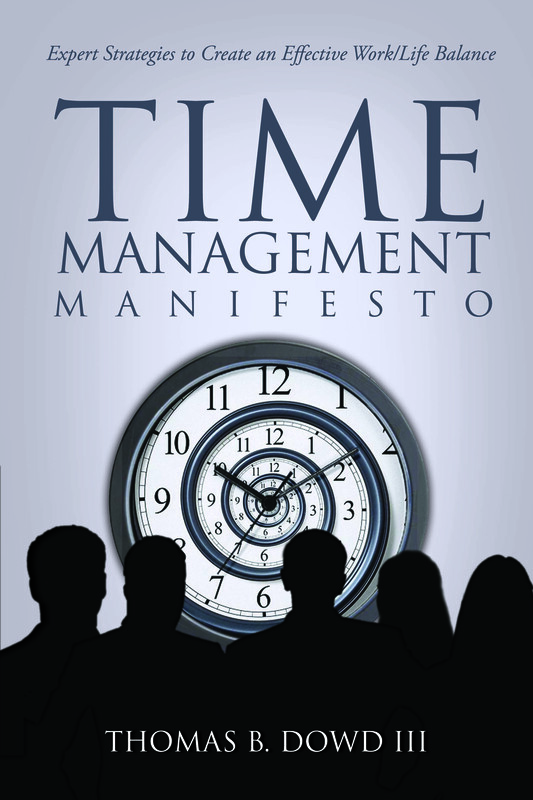 “I recommend the book to everyone who wants to learn some vital lessons to be productive in a day to day basis. It is very useful for busy people that want to find the balance between social and business life. Clear, effective and simple. “I knew I needed guidance. I knew I let my calendar manage me. I know I can achieve a better balance. This book provides direction, not a bunch of, “Do this., Do that.”, which again takes away from your ability to manage your time. Direction puts YOU into the drivers seat. YOU set the parameters of what you feel are priorities, not someone else…..especially not a book. Tom gives you insight into his experiences and what he coaches/teaches. A great way to use the technology at our disposal to help manage your time and focus your attention where it needs to be. Work-Life Balance is not always 50/50. 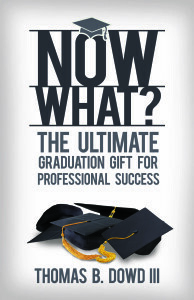 Sometimes it’s 80/20 and next week it will be 20/80……learn to prioritize!”- Jennifer M.
“Having been out of the corporate world raising kids for the past 19 years I wondered if this book would have meaning for me. Soon enough I found myself shaking my head “Yes!” at Mr. Dowd’s very straightforward approach and his solutions to countless issues facing today’s world. 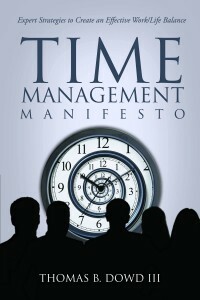 The book resonates for the executive, the mid-level staffer, those just starting out and also, surprisingly, to those of us who have ‘been there’ and are now overwhelmed with family schedules, volunteer opportunities, and part-time jobs.” – BCWell done, easy to read and absorb – Time Management Manifesto will have you making positive, actionable adjustments to your work day whatever you do. Hoping Mr. Dowd has more magic in the works. 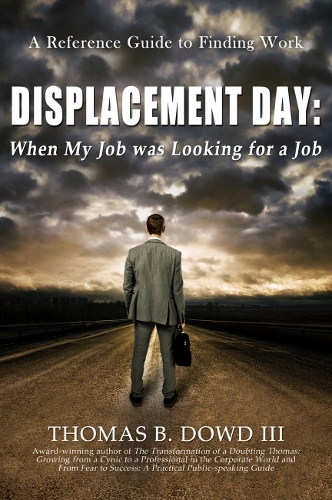 “Tom masterfully takes the readers on an emotional and motivational roller coaster that will relate to anyone going through the pain of losing a job. What sticks out most is the quick transition from empathy to action. “With a perspective that is both empathetic and down-to-business, Tom shares his successes and lessons learned from his our journey after being downsized. Tom shares clear examples of what does or doesn’t work (and why) in networking and conducting a job search.” – Margaret M.
focus on doing what works is exactly what you need to find a new occupation.” – Cris Baker, Author of Self-Sabotage? What it is, Why we do it, When we do it, How to Overcome It! and What you Resist, Persists! 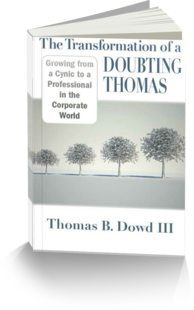 “The Transformation of a Doubting Thomas by Tom Dowd is a pragmatic and insightful look into the dynamic conditions of the corporate world. Dowd’s honesty about his own attitudes and feelings, crafted in short stories of highly relatable real life experiences, enhance the readability of the book. Each of the stories can be read in a couple of minutes, a small investment in time. The short story format is an asset in that it is easy to develop a daily practice to pick up the book each day to read a story or reread a story that has particular relevance in your personal job or life situation of the moment. The author’s journey clearly illustrates that corporate environments change with the ebb and flow of economic conditions, turnover in management, and job changes imposed by technology. Rather than viewing such changes as obstacles, those who remain flexible and adaptable to the changes and view changes as opportunities, will find that they can successfully navigate corporate rough waters. Key insights include: Feedback, both good and bad, is valuable information and networking is a necessary investment. The book is peppered with stories to illustrate how attitudes and behaviors can transform individual working relationships into a community of mutual support. Corporations require a can do attitude to solve problems and create a positive experience with clients and customers. It is much easier to accomplish this when employees are positive and mutually supportive of one another.” – Cheryl Anne Lampshire, DM Author of Effects of leadership behaviors and communication channels on global intra-team relationships and Heart Hound Stories. “The Transformation of a Doubting Thomas” by Tom Dowd is an outstanding book. It is an extremely thoughtful, insightful and interesting take on how to thrive and lead in the corporate environment. It is particularly relevant to employees in large companies who have leadership potential, but who are not optimizing opportunities or are unsuccessful in bids for desired roles. The writer is candid about his mistakes and failures. He inspires the reader to learn from experience and to overcome obstacles to success. This is the first book of this genre that I have read and I did not think that I would like it when it was recommended to me. After reading it, I could not be more supportive and willing to recommend it to others.” – Anne P.
“I read daily before I go to sleep. While I am in the middle of reading of another book, I finally received yesterday a book written by Tom Dowd (The Transformation of a Doubting Thomas: Growing from a Cynic to a Professional in the Corporate World). I was quite curious and thought to just read a cover and the last page with an intend to finish my other book. However, Tom’s book is an excellent read and quite a compelling story of Tom. I made immediate switch and can’t wait to get through it. 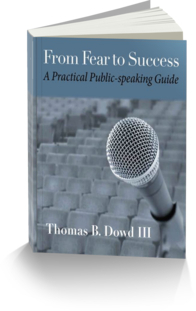 It is very well written book in a format of short, concise chapters that are very easy to relate to Tom’s story.” – B.H.